Paintings & Prints of Arran - Lochranza Castle, Loch Ranza, Arran, Scotland. An original painting and artists prints of Lochranza Castle, Loch Ranza, Isle Of Arran, Scotland. An original abstract, atmospheric seascape painting of Lochranza Castle, Loch Ranza, Isle of Arran, Scotland. Painting & prints of Lochranza Castle Dusk, Loch Ranza, Isle Of Arran, Scotland by Andy Peutherer. 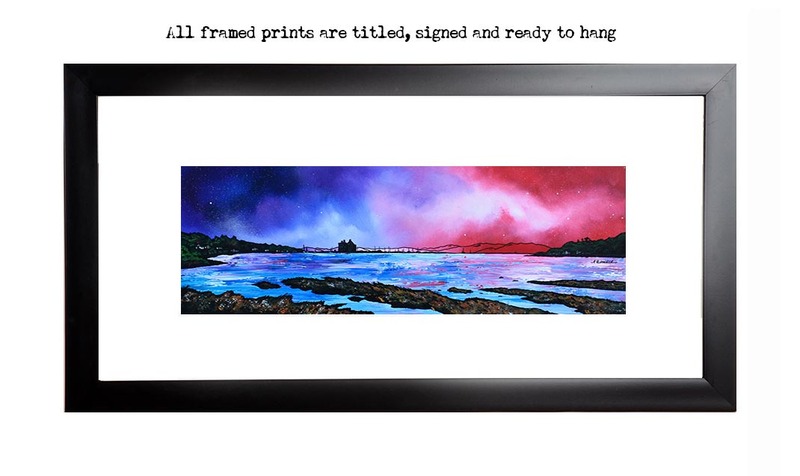 Framed prints of Lochranza Castle Dusk, Loch Ranza, Isle Of Arran, Scotland by Andy Peutherer. Paintings & prints of Arran - Lochranza Castle Dusk, Loch Ranza, Isle Of Arran, Scotland.